Since 2005, new regulations have applied to electrical safety in the home – I am fully qualified to carry out a Periodic Inspection and Test. The cost of this service is from £160 [dependent on size of property and extent of existing electrical circuits] and this includes Test Result Certificates. 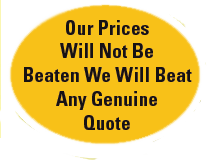 *All prices are for guidance purposes only – each job is individually quoted. At CN Electrical Services our main aim for domestic clients is to provide quality service while still at a competitive price. We understand that for our commercial & retail clients – a top quality service is key. CN Electrical Services registered as CN Electrical Contractors LTD is a leading small independent electrical contractor. We provide a range of electrical services to domestic, commercial & utility customers throughout the UK, mainly London.